Do any of these statements describe your dog? 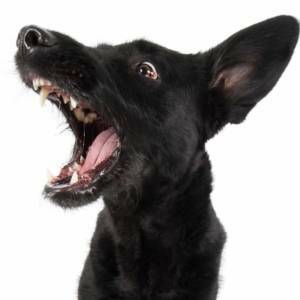 Your dog growls at, lunges at, snaps at, or has bitten another dog. Your dog is reactive or highly excitable while on walks. Your dog gets a wonderful report card at doggie daycare, but is aggressive towards dogs when you are on the other end of the leash. Your dog has separation anxiety when you leave (panics, paces, whines, freaks out, etc). Your dog barks uncontrollably when you leave. Your dog breaks out of his/crate and is destructive. Your dog is shy and fearful in general. You and your dog are not alone! The above list comprises some very common and normal behaviors for dogs. And it’s normal for dogs to have multiple symptoms. Most dogs are wonderful 98% of the time, and do really well at home, but they can have certain triggers that increase their fear and anxiety. 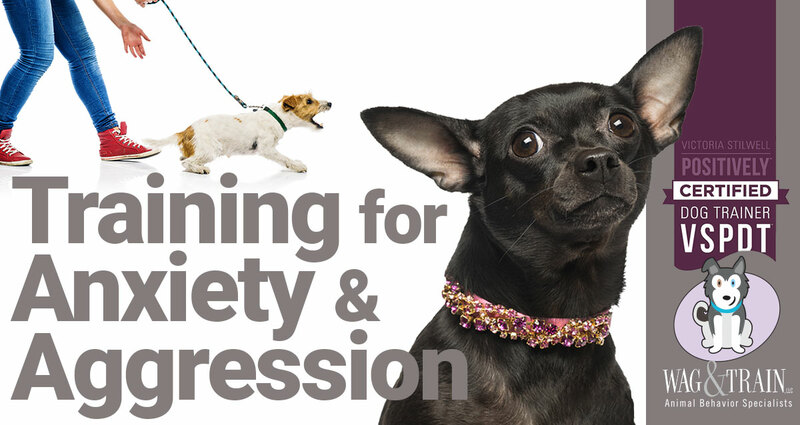 The majority of aggressive behavior is due to anxiety and fear, and that’s what we will focus on to help your dog learn that things aren’t so scary. Dog-Dog aggression is not about being dominant- it’s about trying to convey his or her needs in that situation in dog language. Judy Borsheim, MS, VSPDT works with dog parents one-on-one and teaches you to train your dog calmly and confidently. With knowledge and experience working with a variety of behavioral issues, Judy enjoys helping every dog reach his or her full potential. She has her Masters Degree in Canine Life Sciences, and as a VSPDT certified trainer, you can rest assured that she uses and teaches force-free, dog-friendly, pain-free techniques that are effective in helping you communicate with your dog. There is no need for leash-jerks, prong, choke, and/or shock collars. The behavior program she provides is comprehensive, practical, positive, and successful. In order to provide the best possible care for your dog, an individualized behavior plan is developed and emailed to you after each session. Judy focuses on medical status, amount and kind of anxiety, diet, mental exercise, environmental factors and in the cases that need it, she will work closely with your veterinarian. Behavior sessions are about 2-3 weeks apart in order to give you enough time to work with your dog and implement all the needed changes. The initial session is about 60-75 minutes, and subsequent sessions are about 50-60 minutes… It all depends on the dog. ** At this time, this program does not include services for severe aggression towards people, or dogs with a multiple bite history, only shyness/fearfulness of people. If you need help with your dog’s anxiety or aggression, please fill out the form below and we will get back to you. Thank you!